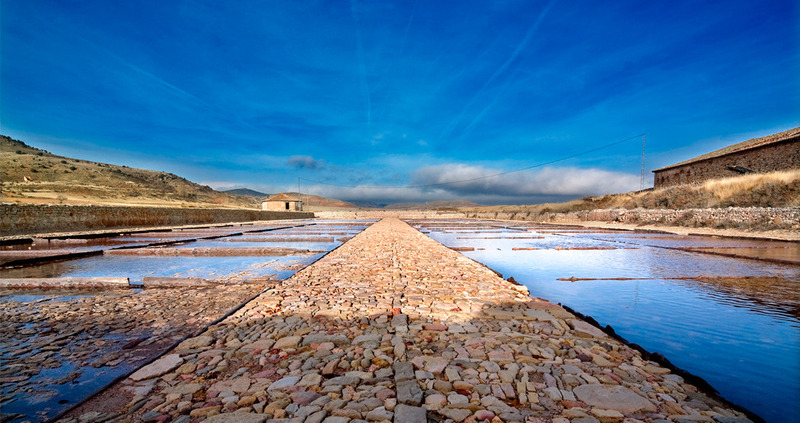 Some fourteen kilometers away from beautiful Sigüenza is Imón, where we find the most important salterns in the region of Atienza and in the whole province. 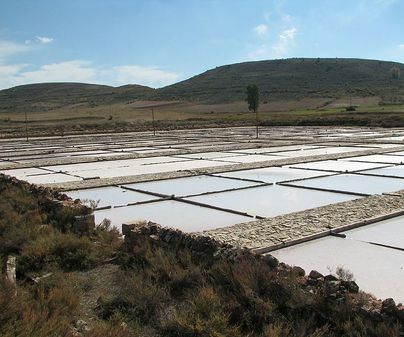 The salterns of Imón had the greatest salt production; they are the biggest, best built, and have also reached our time in the best conservation status. 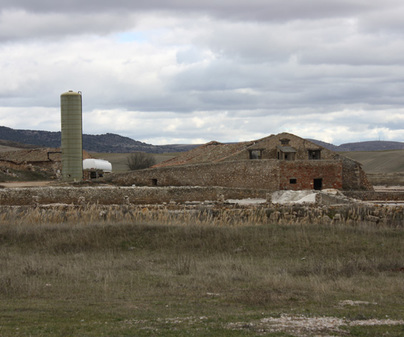 The king, under whose control they used to be, used the income they generated to pay nobles and the bishopric of Sigüenza. The last modernization of the salterns, to which they owe their current appearance, was carried out by Carlos III in 1720. 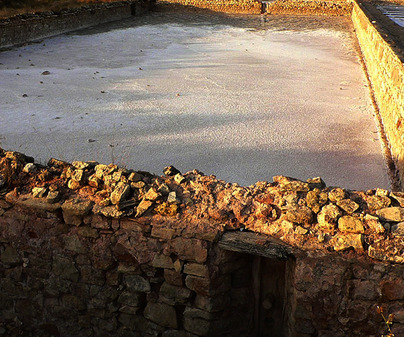 They remained active until 1996, and nowadays the remains from the last harvest are preserved in its main warehouses. In a small detour at the village’s entrance we find the salterns of Imón, and about three kilometers away, those of Santamera could complete the wanderer’s route. 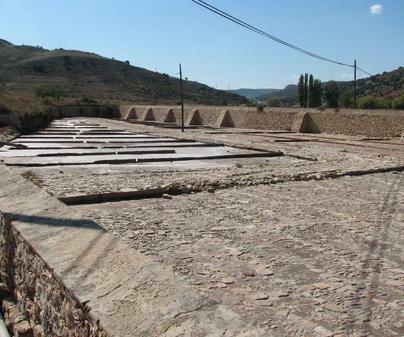 The complex comprises three warehouses of great size, two of which (San Antonio and San José) are still standing, along with part of their last production; five water wheels, four of which acceptably preserved, are distributed throughout the facilities, as well as several heaters and about a thousand water tanks, which still have the majority of their stone pavement and wood. The complex is closed off by annexed buildings, offices and small warehouses, which give us a better idea of its activities. They are divided using the classic partition system, each with its own limits, facilities, and name. Town Hall Phone Numbers 949 39 08 50. Access A-II N-204.